I enjoy working at LIVE WELL because I am able to apply my Kinesiology background to design programs for members, and tap into my creative mindset through fun projects like choreographing our Dance Days. I also am developing my interpersonal skills by providing the best customer care for the members that I have the privilege to work with every day. I love the fact that I’m constantly moving! Being active while working? You can’t beat that! LIVE WELL is not a gym. We are a medical fitness clinic, focussing on safe and effective programs that improve people’s health and wellness. At LIVE WELL you won't find muscle heads or ultra-marathoners. Most of our members have one or more health conditions. Everyone is trying to get active, feel better and improve their health. It’s a culture of comfort, acceptance and kindness. But its foundation is a clinical, evidence-based program designed by exercise clinicians and approved by our Medical Director to prevent or rehabilitate chronic diseases such as diabetes, heart disease and obesity. What is a Joy Master? Although we are passionate about exercise, we know that not everyone shares our passion. People don't usually come to us because they love to exercise. So we make it fun! That is why we call our fitness leaders Joy Masters. They run our exercise sessions, motivate, inspire and coach our members and most of all, make sure people feel cared for and have fun each time they come to our clinics to exercise! Our CEPs oversee exercise sessions, assess new members’ needs and create their personalized lifestyle plans and exercise programs. 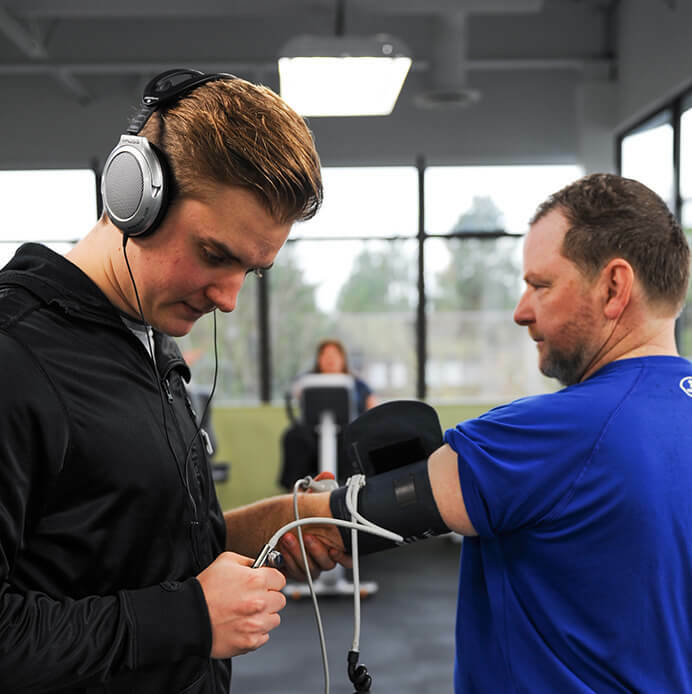 CEPs are knowledgeable in demonstrating exercises, adjusting exercise prescriptions, performing progress assessments, and other various clinical tasks (blood pressure readings, blood glucose measurements, oxygen saturation levels, etc). They are experts in exercise, nutrition, healthy habit formation and health education.